Visitors to the American Precision Museum participate in a gallery talk. NEH funding helped the museum create an interactive permanent exhibition, Shaping America, that traces the history of the machine tool industry. Image courtesy of First Light Studios. The American Precision Museum celebrates the history and future of American manufacturing achievements. 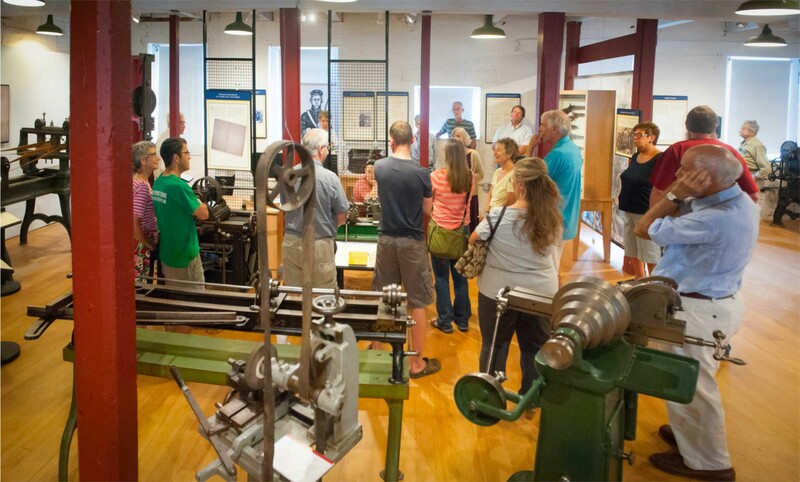 Set in the historic Robbins & Lawrence Armory, where many mass production tools and methods were pioneered, the museum now holds the nation’s largest collection of historically-significant machine tools. After receiving NEH funding to help assess and preserve its permanent collections, the museum undertook a significant reinterpretation of its primary exhibition with further NEH grant support. With this support, the American Precision Museum created a permanent exhibition, Shaping America, that takes into account the museum’s location in a historic munitions factory. The Robbins & Lawrence Armory building, home to the American Precision Museum. Image courtesy of the American Precision Museum. 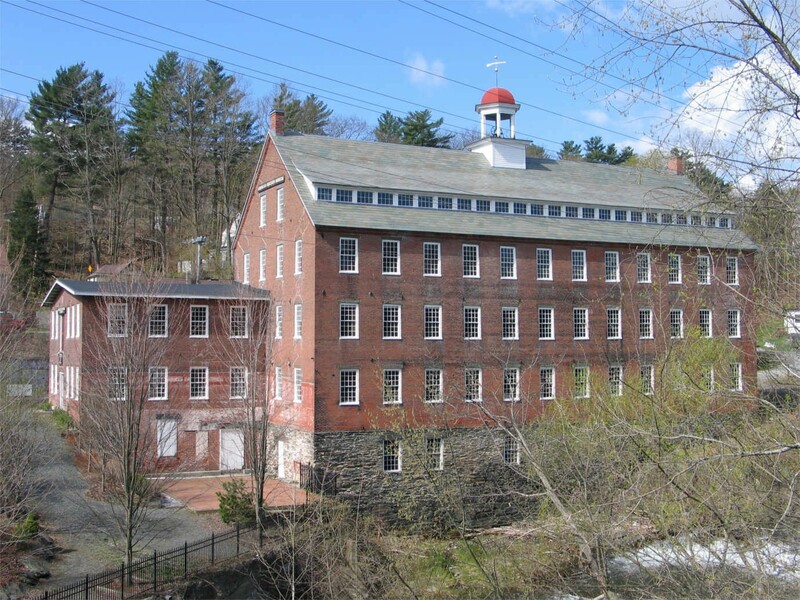 With four subsections, “The Tool Revolution,” “Arming the Union,” “Consumer Culture,” and “Industrial Might,” Shaping America traces the history of Vermont inventors who helped create the machine tool industry in the nineteenth century. It then explains the history of that system as it developed through rifle production in the Civil War and established the foundation for the consumer boom that would occur in the early twentieth century with the invention of the car and the airplane. Historic materials are supplemented by interactive and technological elements, including listening stations and video displays. Developing Shaping America gave the museum the chance to establish stronger educational programming. Video courtesy of the American Precision Museum. In concert with Shaping America, the museum greatly expanded its educational programming. It has developed a successful summer internship program that brings high school students into the museum to help operate the machines, as well as a school program that teaches science and social studies concepts. Together, these programs have tripled their annual number of student visits. For younger students and families, the museum offers an afterschool Young Engineers Club that teaches STEM projects and a Junior Machinist Apprentice program that features a scavenger hunt in the exhibition. For adults, the museum offered an OSHER Lifelong Learning course in 2015 and provides Sunday afternoon lectures in the summer through a partnership with the Vermont Humanities Council.